Nobody likes “patent trolls,” even if they’re not quite sure what they are. It’s a term without clear definition and yet it’s being used to push Congress and the U.S. Supreme Court right now to curb abusive litigation without damaging a centuries-old system designed to promote advances in science and industry. Reading the merits briefs of Alice Corp., CLS Bank and many amici induces the strange feeling that there are multiple, parallel universes operating, and it is hard to know which one you are in. Are you in a universe in which Alice’s claims are for a software invention or a business method? July 15, 2013 was a sad day indeed for all of us involved in recommender systems. John T. Riedl, one of the seminal pioneers of the field, passed away after a prolonged illness. John was an innovator not only in the academic study of Computer Science, but also in its industrial application, and in his concern for its social consequences. 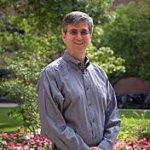 John was a distinguished academic whose work was at the forefront of many early foundations of recommender systems, particularly those based on the now ubiquitous collaborative filtering approach. He founded and led the GroupLens Research team at the University of Minnesota, which not only built key data sets for recommendation research, but also pioneered the notion of interaction and feedback, and set standards in those areas that even today light the way for all of us. But merely to say that John was a great academic would be to miss the greater meaning of his life’s work. In 1996, he branched out from the academy and founded Net Perceptions, an innovative company whose goal was to bring the insights of GroupLens from the lab into the world at large. The impact was nothing less than the pervasive use of recommendations technology across the web, especially in e-commerce. The common understanding that Amazon was the earliest pioneer in this area is only a partial picture. Amazon worked closely with Net Perceptions, and many of the techniques one sees on their site to this day are based on John’s insights. Although Net Perceptions didn’t make it through the bursting of the dot com bubble John’s work lives on through its influence.